Life is unpredictable, and you never know when your circumstances might change. If you’re interested in finding out more about Disability Cover from Standard Bank’s direct life insurance services, read through the answers to some of our most frequently asked questions below. 1 What is Disability Cover? It’s a long-term insurance product that pays you a cash lump sum if you become permanently disabled due to illness or injury. It’s worth asking yourself whether you’d be able to support yourself and your dependents financially if you became disabled. Disability Cover provides a once-off payout which you can use however you please – from paying off your home loan to buying specialist equipment to accommodate your needs. 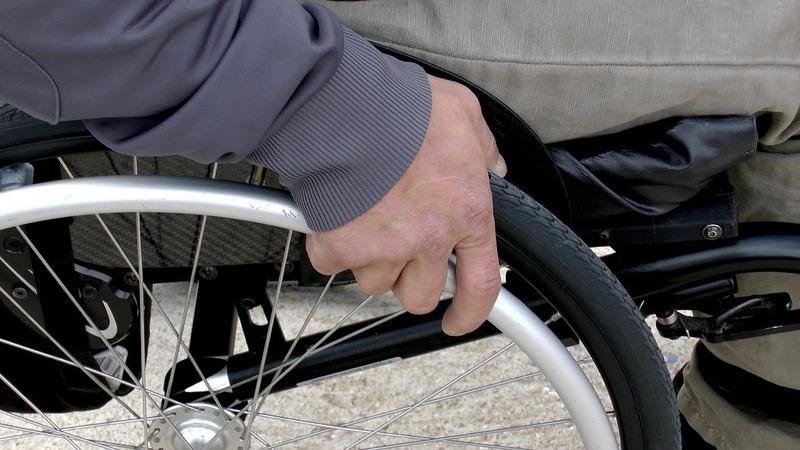 3 What constitutes a permanent disability? Standard Bank’s direct life insurance services considers a permanent disability to be an illness or injury which we agree permanently and totally prevents you from earning a living in your current occupation or a suitable alternative. When considering which alternative occupations are suitable, we will take into account your education, training and work experience. 4 How much cover will I qualify for? Disability Cover from Standard Bank’s direct life insurance services offers a tax-free payout of between R200,000 and R5,000,000. We’ll conduct a simple risk assessment, that includes underwriting, to determine whether you qualify for cover, how much you qualify for and how much your premiums will be. 5 How long will my cover last? As long as you pay your monthly premiums, your cover will last until one of the following happens: you make a claim and get paid out the once-off cash lump sum, you turn 65, or you pass away. 6 Will I need to have a full medical check-up? No, but you will need to have an HIV test within the first 90 days of your policy. This will be arranged with one of our travelling Nurses on Wheels or through one of our laboratory partners – at no cost to you. 7 When won’t I be covered? For any exclusions communicated to you. If you harm yourself on purpose or if you are injured while breaking the law or while putting yourself in a position where you are exposed to war or war-like activities. If you do not have an HIV test within 90 days of your cover start date or if your test comes back reactive, your cover will be converted into an option that is limited to injury from an accident only. It will not include disability as a result of disease or health issues. 8 Why should I consider Disability Cover from Standard Bank? When it comes to something as important as Disability Cover, it makes sense to insure yourself with one of South Africa’s leading banks – one that has been trusted by millions of South Africans for over 150 years. 9 How can I apply?